The fastest connection speed known to man – up into the gigabits. 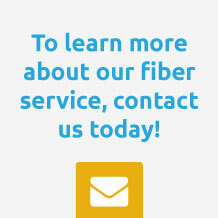 We currently offer an unmatched 1 Gig (1,000 mb) fiber Internet speed to our residential customers. Fiber Internet to the home uses a pure ethernet connection back to your ISP, without needing intermediate equipment like a modem. This results in a much more stable, reliable ser­vice, which means no downtime for you. Fiber Internet to the home virtually eliminates most equipment issues, and downtime typically experienced by internet subscribers. Unlimited carrying capacity means NO CAPS. The band­width, like speed is only limited by the processing power of the electronics on each end of the fiber. 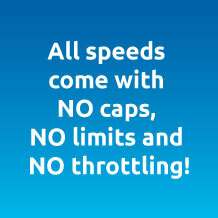 We will never cap your data usage, or throttle your speeds. Stream as much video as you like without ever worrying about overages.